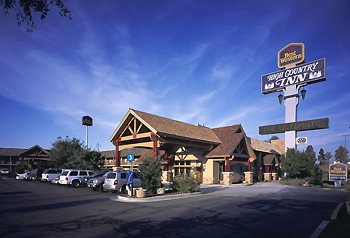 About Hotel: 2-Story, 109-Rooms, Exterior Corridors, Fitness Center, Pets Allowed, Outdoor pool - heated Seasonal, Restaurant on site, Hot Tub, Room Service, High Speed Internet, Cable satellite television, 27-inch with HBO®, ESPN, CNN and the Weather Channel, Free local calls under 30 minutes, Refrigerator, Coffee/tea maker, Hairdryer, Data ports, Iron, ironing board, Cribs available, Roll away beds available, 24-hour front desk, Truck/RV parking, Free parking. Railroad View: Excellent, tracks are about 400 feet behind motel. An open field now includes a walking path that leads near the tracks (see photo). Notes: Rooms on second floor are recommended to see over cars/trucks in parking lot. While in town, be sure to visit Ogden Union Station where the Utah State Railroad Museum is located (plus a couple other museums). It’s worth the stop, beside the displayed locomotives & rolling stock; the Union Pacific trains pass the station, what's left of Ogden yard is also across from the station platforms which Amtrak uses twice a day. 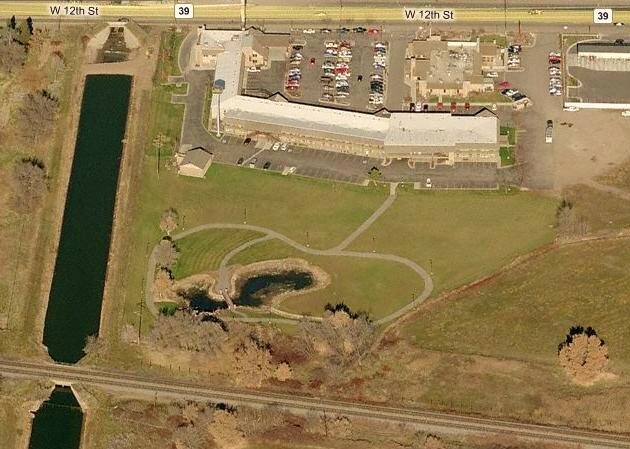 Photo Comment: Since my visit in 2004, a walkway has been built leading around a pond (See Bing Aerial map). This may help achieve better photos / videos of passing trains. 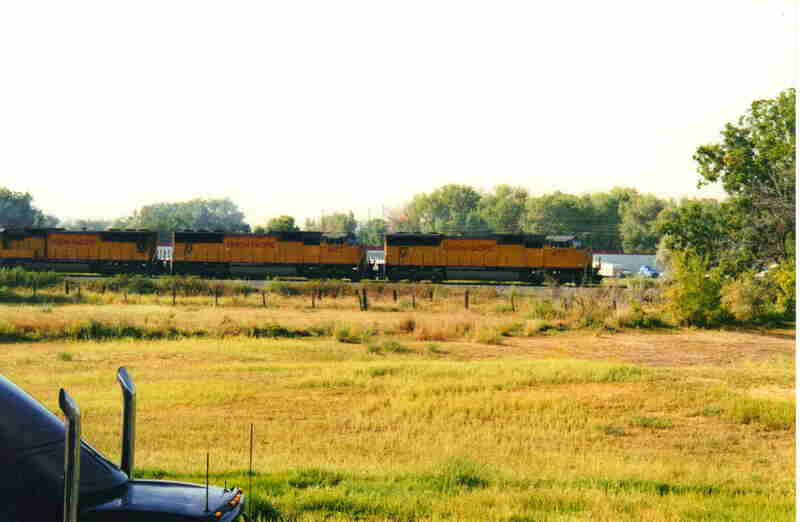 The photo of the Union Pacific train was taken from the second floor near the east side of the motel. It’s a great view.